"It’s extremely painful what these animals are going through,” says Aaron Machado of the Australian Marine Wildlife Research and Rescue Organisation. 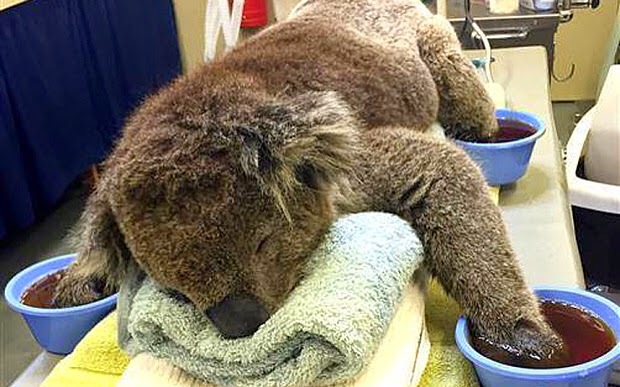 Wildfires in the states of South Australia and Victoria have left the koalas that have survived with singed paws that need to be healed before the animals can be released back into the wild. The International Fund for Animal Welfare has announced on Facebook that they have reached their goal of collecting mittens made of 100% cotton sheets or tea towels to protect the painful paws.